Thanks everyone for your comments on the last post and your helpful hints on swimwear sewing - I'll definitely keep them in mind for the next round of swimsuit sewing. Actually I've already tried out the method of sewing elastic on to fabric with the overlocker and then turning it over and topstitching as suggested by both Angie and Maria - I discovered that to disengage the blades on my overlocker all I have to do is half turn a knob so it's easy peasy to do. My precious Babylock, I love thee more and more each day! My sewing lately has been so non productive thanks to Toby being a little clingy and whingy lately, he seems to have a sixth sense and just seem to know the exact moment I step foot into my sewing room because he'll then wake up and scream hysterically until I hold him. I've 90% finished my June Burda project, have started a refashion project and cut out a top, but none of these unfinished projects are blog worthy (yet). I did get a bit of time last Saturday in my sewing room when my husband took the kids to the zoo, and I managed to finish up two pairs of pants for Toby because he's growing so quickly out of his other clothes. My mum gave me a pair of lovely teal green corduroy jeans that she used to wear when she was younger - I distinctly remember her wearing these and another pair of cord jeans to my school when she was on canteen duty much to my embarrassment at the time. Of course now I would love to wear them myself, except that I can't fit into them and the small issue that my inner thighs are so flabby that when I wear corduroy jeans the noise of my legs rubbing together when I walk sounds like a black hawk helicopter taking off! 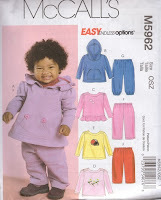 So instead I made Toby a pair of jeans from Kwik Sew 2276, a long OOP pattern that I've used before for jeans for Anna. I deliberately made these a size larger and with a little extra length in the legs so they are a little too big for Toby right now, but I'm sure that in no time they'll fit him perfectly (even if only for a nanosecond). I reused the waistband and belt loops, and added some elastic across the back to make sure they fit properly, and I'm really pleased at how they turned out. This is the waistband I sewed the elastic on with my serger and then turned under and overlocked - such a better method than sewing a casing and threading the elastic through with a safety pin because it stops the elastic twisting. I can definitely see this being a much neater finish on swimwear than a zig zag stitch. The only problem of course is that it's harder to tighten up or loosen the elastic waist if it's not fitting properly because you'd need to unpick all of the waistband, so you need to get that fit right the first time. I sewed on some black cotton tape at the centre of the waistband purely for decoration. I braved the city Lincraft store at lunchtime today to buy an invisible zipper for my June Burda project - fingers crossed that Toby sleeps a bit better tonight so that I can finish it, better late than never! Sweet little clothing! Your Toby is growing like crazy! He's so adorable. Oh, Toby is so cute in his new clothes! I had a laugh at your husband's leftover shirt! Good up cycling! Great use of the fabric! Especially in that logo shirt. I always wonder, when people are giving them out, if they've thought at all about rewearability! Toby is so cute! 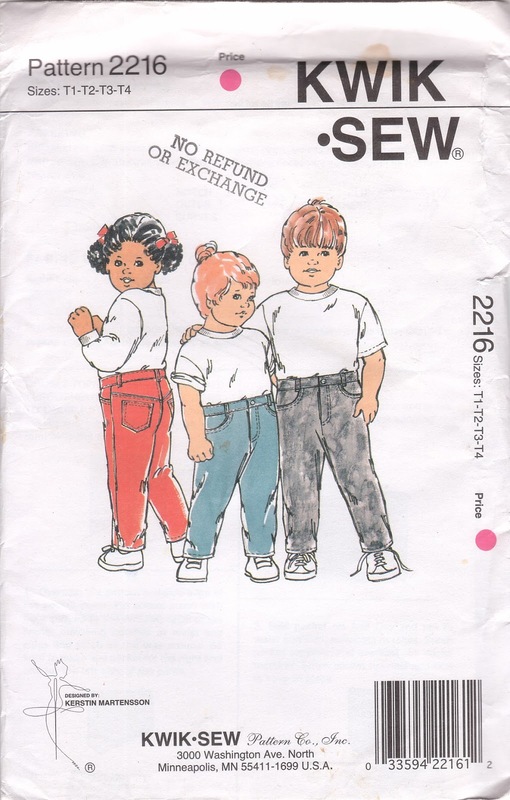 I love how you've refashioned both pairs of pants. What a great reuse of fabrics! Toby is so cute! I love to read your posts that include bits on your motherhood experience since our babes are pretty much the same ages - my older daughter is going to be 4 in a few days and my 2nd is 15 months. I swear she is going through the exact same thing your Toby is! For whatever reason, her sleeping times are now frought with hysterical screaming until I pick her up for a cuddle. Maybe the sudden clingyness and whining are just common things at this age?? Eitherway, the kiddos are so adorable and I love your blog! Great reuse of the fabric - both pants have turned out great. I hope you get the time to finish your other projects. Very clever reuse of the fabric for Toby's pants, both pairs look great on him and love the bubbles! I never imagined a golf shirt could look so cute. What gorgeous pictures and a wonderful use of fabric. That man's shirt with the toddler outfit cut out of it is a great shot! It really neatly illustrates the point! Wonderful gleeful bubble popping picture. Maybe Toby is having a growth spurt that is making him anxious? Black hawk helicopter! LOL! Such an apt description, impressive wordsmithing. Oh and your children sewing is pretty impressive too. He is adorable and you are making him some really cute things! Love how you refashion the t-shirt! Your black hawk analogy made me burst out laughing! I don't wear corduroy either, but on kiddies totally cute. Hope Toby is feeling better now - and less clingy! His cords are super cute - so much harder to carry off the corduroy look as an adult! He looks cuddly in his trousers. He's so cute.